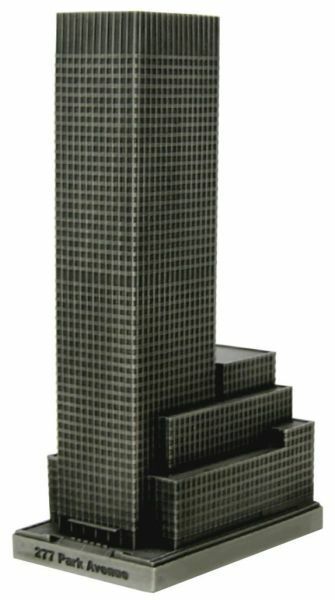 277 Park Avenue is located in Midtown Manhattan and was completed in 1962. This building was designed by Emery Roth & Sons and stands 687 feet tall with 50 floors. This pewter replica stands 7-1/4 inches tall and is finished in antique pewter. This model's scale is 1 inch = 100 feet.